Nadine weakens a little more and becomes a Tropical Storm again. Nadine formed as a tropical depression over the Atlantic Ocean on September 11, 2012, and strengthened to a tropical storm the following day. Between September 12 and October 1, 2012, Nadine’s status alternated between tropical storm, subtropical storm, and Category 1 hurricane, but the storm persisted. 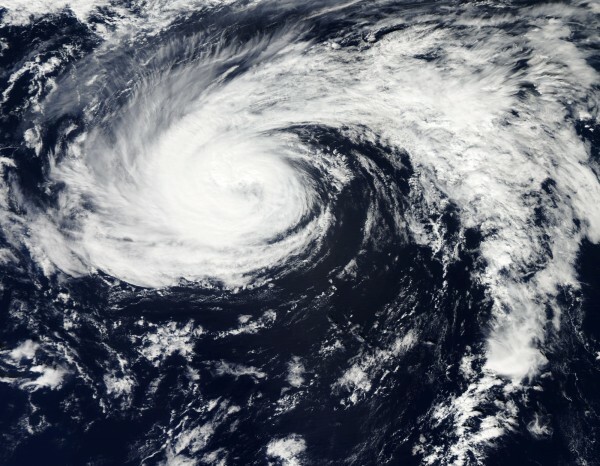 On October 1, 2012, the U.S. National Hurricane Center (NHC) reported that Nadine was located about 705 miles (1,135 kilometers) west of the Azores, with maximum sustained winds of 70 miles (110 kilometers) per hour. According to latest public advisory issued by National Hurricane Center at 21:00 UTC on October 1, Nadine was moving toward the south at about 5 miles (7 kilometers) per hour, in the process of making a counterclockwise loop. Tropical storm force winds extend outward up to 205 km (125 miles) from the center. Estimated minimum central pressure is 995 mB. A tropical storm watch was in effect for the Azores. Maximum sustained winds have decreased to near 100 km/h (65 mph) with higher gusts. Additional weakening is forecast during the next two days. Most of the dynamical guidance indicates that enough of a pressure gradient will be present to maintain gale-force winds even as the cyclone becomes Post-tropical. 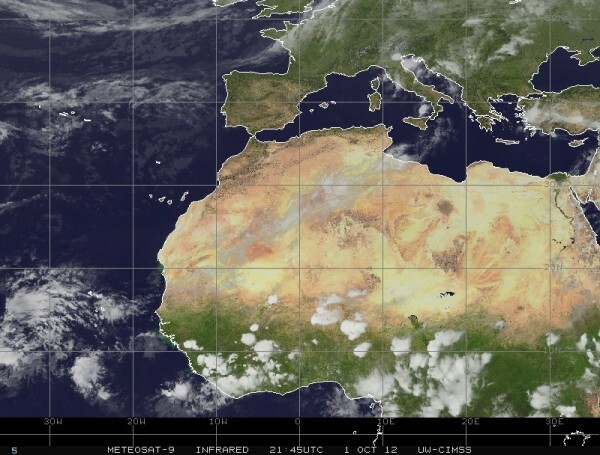 Shower and thunderstorm activity associated with an elongated area of Low Pressure located about 525 miles southwest of the Cape Verde Islands have become a little better organized since yesterday. Environmental conditions are expected to remain conductive for slow development of this disturbance over the next few days. This system has a medium 40% chance of becoming a tropical cyclone during the next 48 hours as it moves west-northwestward at speed of 10 to 15 mph.